Anthony and Jennifer Lopez made a large donation to Children's Health Fund's Operation Assist after Hurricane Katrina, and encouraged their fans to give as well. 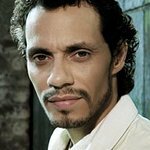 In 2011, Marc Anthony created a non-for-profit foundation called Maestro Cares with his friend and entrepreneur Henry Cardenas to help impoverished children in Latin America. Find out more here. Google trends for "Marc Anthony"